Children succeed when readiness and opportunity align. Our alumni are high school and college students, young professionals, civic leaders, activists, entrepreneurs, artists, managers and educators. They come from all of the world and all cultural backgrounds. Each one shares a common experience of running their own microcosm of the real world when they were young. They grew up as independent thinkers and problem solvers and discovered their potential at a young age. 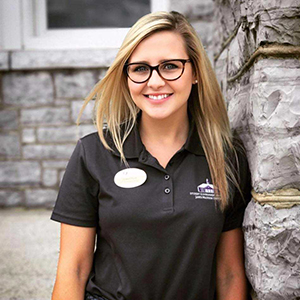 With a double major in political science and public policy and administration, this Roanoke native, first generation college graduate is an honors student at James Madison University. In her freshman year, Jewel ran for class president and lost but like any self respecting MicroSociety alum, she did not give up and ran for Senator and won. For good measure, she was soon recognized as the Student Government’s Rookie of the Year, was inducted as executive assistant and became Chair of the Diversity ad-hoc committee. She then ran for student body president and won — twice. She began her duties as president at the start of her Junior year and won re-election this past March. According to this young Change Maker, her biggest accomplishment to date has been chairing SGA’s diversity ad-hoc committee. With a budget of $400, she and her peers set out to answer one question: “How are we going to bring awareness to diversity, inclusivity, and access at JMU?” The committee researched best practices, created a video featuring representatives from these groups, held an event of students, educators and administrators to discuss the issue and celebrate JMU. A significant outcome was JMU’s agreement to amend SGA’s Constitution to make the diversity committee a standing committee. Jewel also served on former Virginia Gov. Terry McAuliffe’s Millennial Task Force in which she and students from other Commonwealth Universities focused on the barriers to civic engagement. Most recently, Jewel applied her passion and drive to her Honors College experience, including drafting a proposal for the Hillcrest Scholarship to fund a summer internship at MicroSociety Headquarters in Philadelphia in 2018.